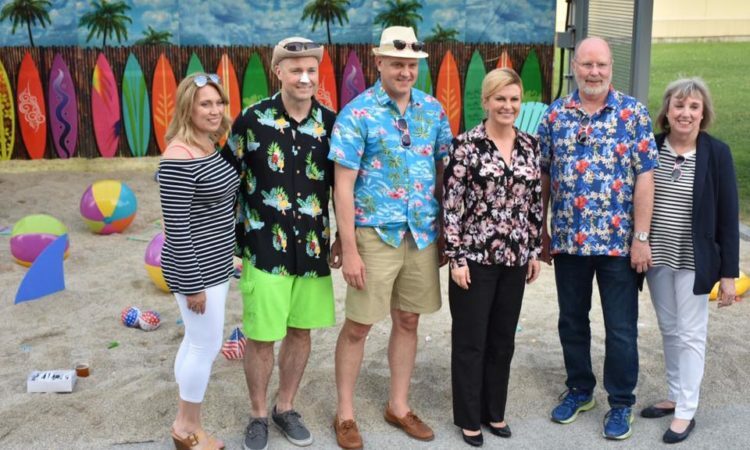 Ambassador W. Robert Kohorst and Ms. Shelley Allen welcomed Croatian President Kolinda Grabar-Kitarovic and numerous guests at the Embassy’s California Dreamin’ party celebrating America’s Independence Day. In Zagreb on July 3, 2018. 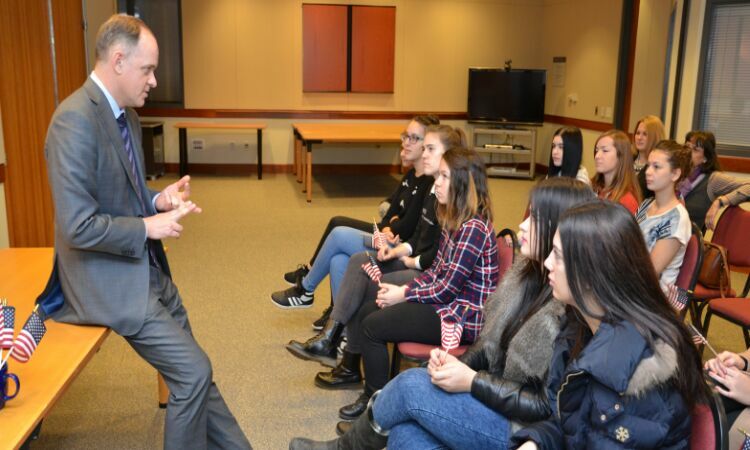 Doug Jones, Deputy Chief of Mission, welcomed a group of high school students from Sisak during their visit to the Embassy on February 20. 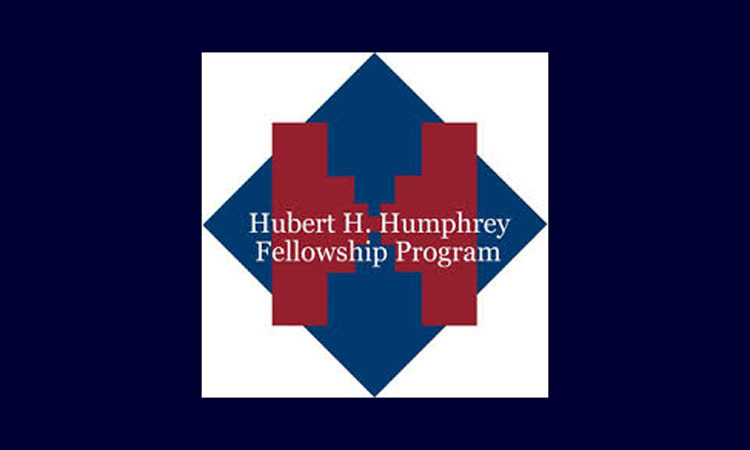 How Does the Embassy Help Demonstrate Democratic Institutions? 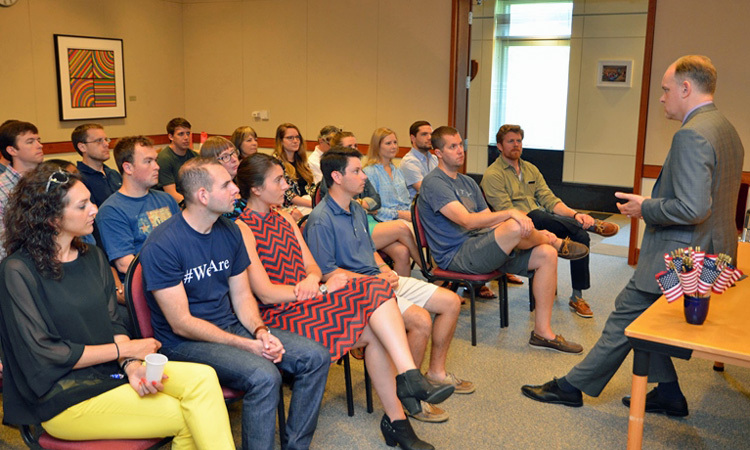 Deputy Chief of Mission Doug Jones welcomed MBA students from Robins School of Business, University of Richmond, who visited the Embassy on June 2, 2017. 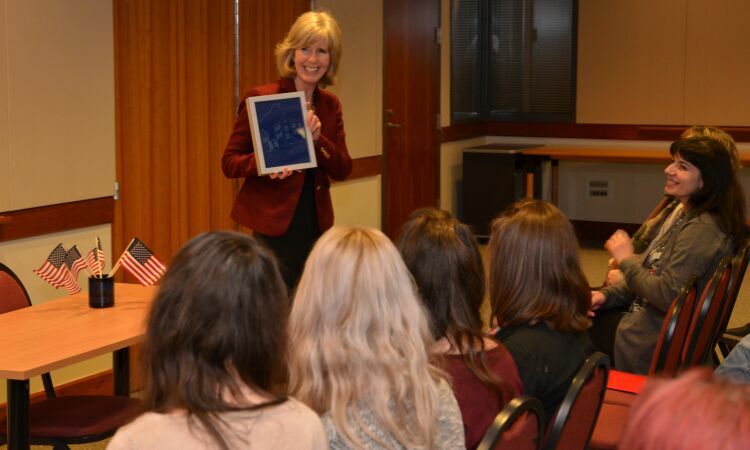 They met with other American diplomats, the students had a chance to discuss politics, business, and the Embassy work. 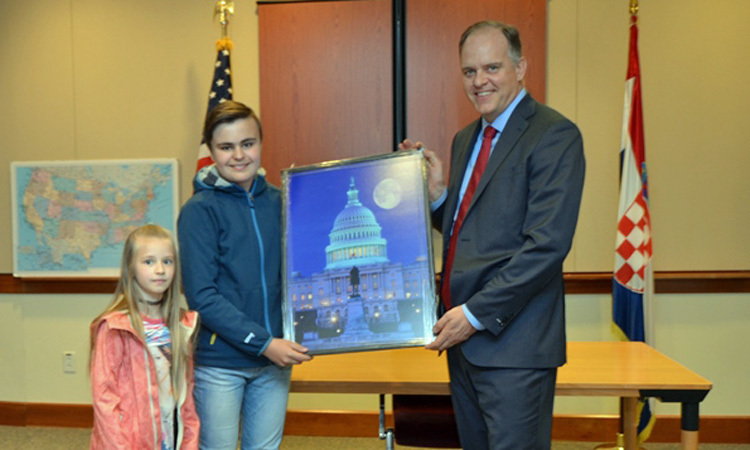 Douglas Jones, Deputy Chief of Mission, and other Embassy representatives met with a group of students from Ivanska who visited the Embassy on May 16, 2017. 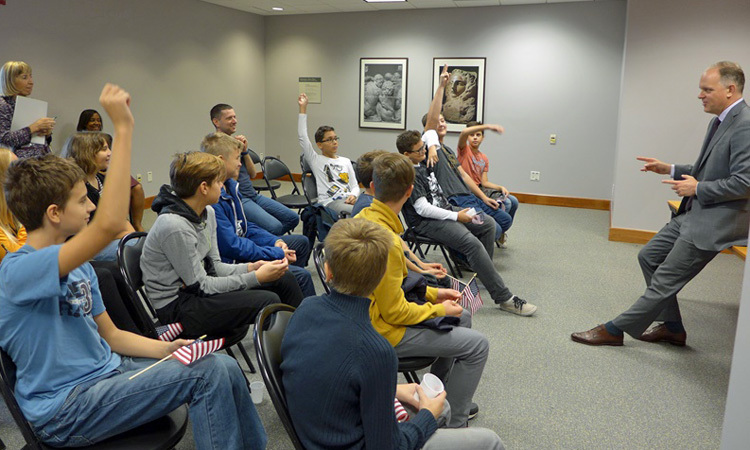 Students had a chance to talk about various issues, and enjoyed the tour of the Embassy. 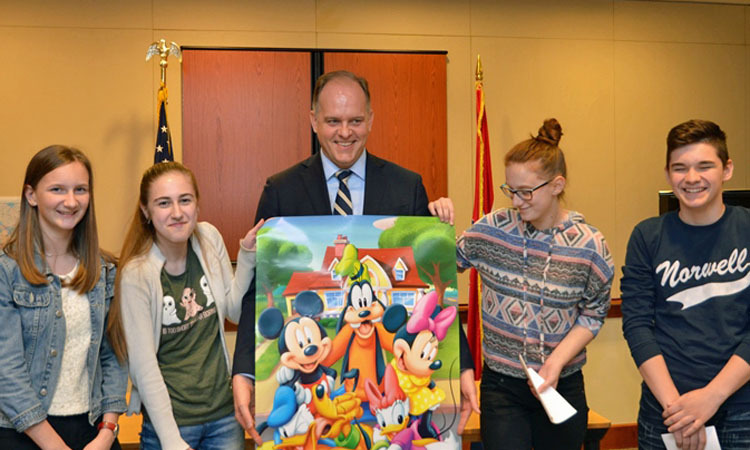 Douglas Jones, Deputy Chief of Mission, welcomed a group of students from Čučerje on April 4, 2017. Students presented a list of most interesting facts about the U.S. and they were eager to hear answers to their questions. What Makes a Successful Ambassador? Douglas Jones, Deputy Chief of Mission, met with a group of University of Zagreb Faculty of Political Science undergraduate students on February 28, 2017. Students showed great interest in the conversation and asked numerous questions. 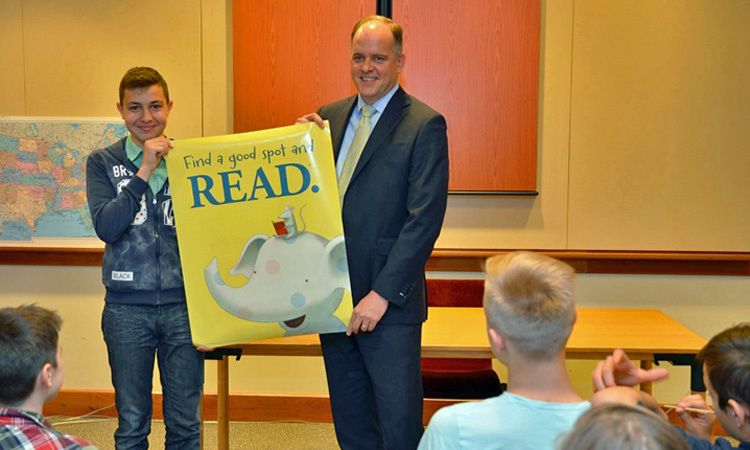 Douglas Jones, Deputy Chief of Mission, greeted a group of elementary school students from Sesvete on November 15. 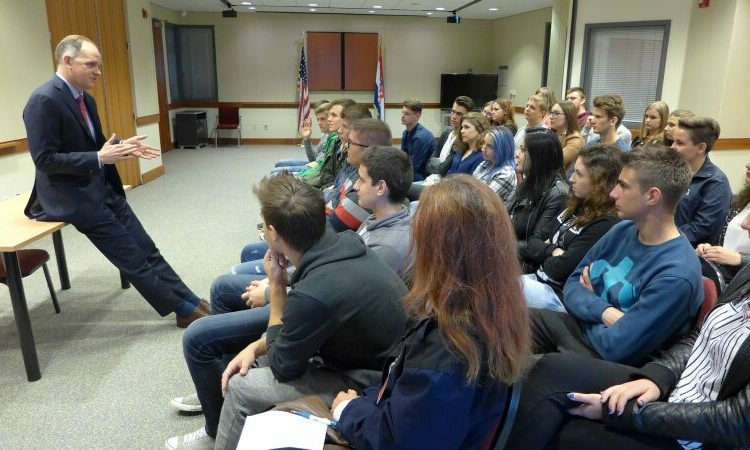 During their Embassy tour, students had a chance to speak with American diplomats about the President Elect and about their work and life in Croatia. 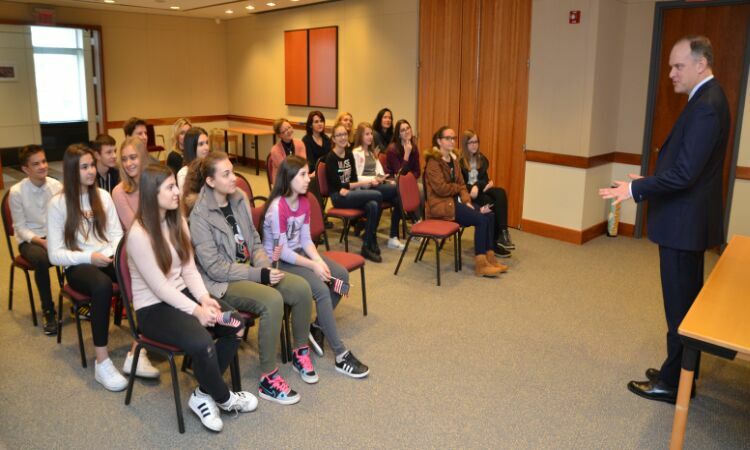 A group of high school students from Karlovac visited the Embassy on September 20 and was welcomed by Douglas Jones, Deputy Chief of Mission. The group also met with other Embassy representatives and spoke about a number of issues, including U.S. Presidential Elections, TTIP and exchange programs. 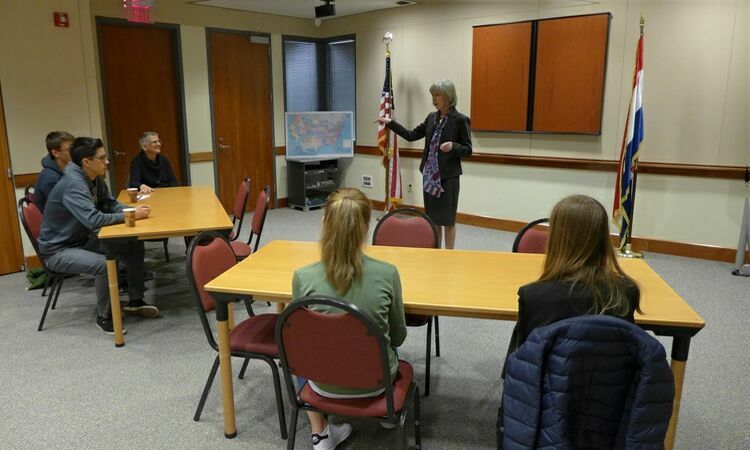 Four students from the American International School representing Leadership and Service Learning Class visited the Embassy and conducted interviews with several Embassy officers. The group was greeted by Margaret Nardi, Deputy Chief of Mission. 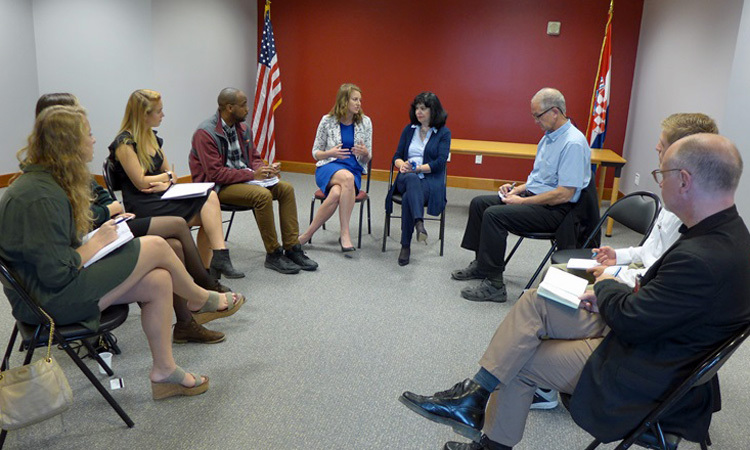 Refugee Issues in the U.S.
Sanja Pupačić of the Croatian Red Cross met with American officers before her departure on a three-week International Visitor Leadership Program in the United States where she will discuss issues related to refugee resettlement and integration. Chargé d’affaires Margaret Nardi meets with Jurislav Babic of the Faculty of Agriculture in Osijek before his departure on a 3-week International Visitor Program in the U.S. where he will examine U.S. policies related to agricultural trade and food safety. 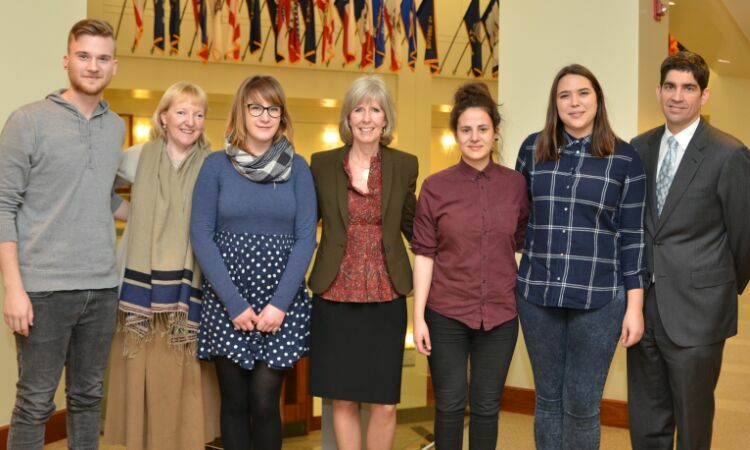 A group of University of Zagreb economy students visited the Embassy on March 9 and was welcomed by Margaret Nardi, Chargé d’Affaires. 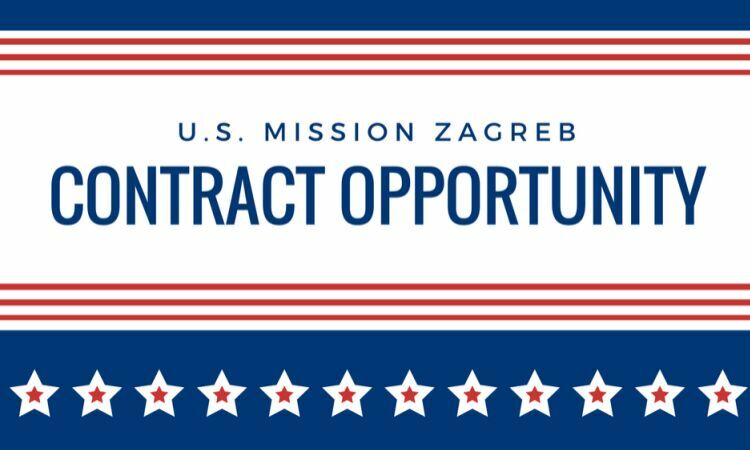 The group also met with other Embassy representatives and spoke about a number of issues, including U.S. Presidential Elections and business and investment climate in Croatia. 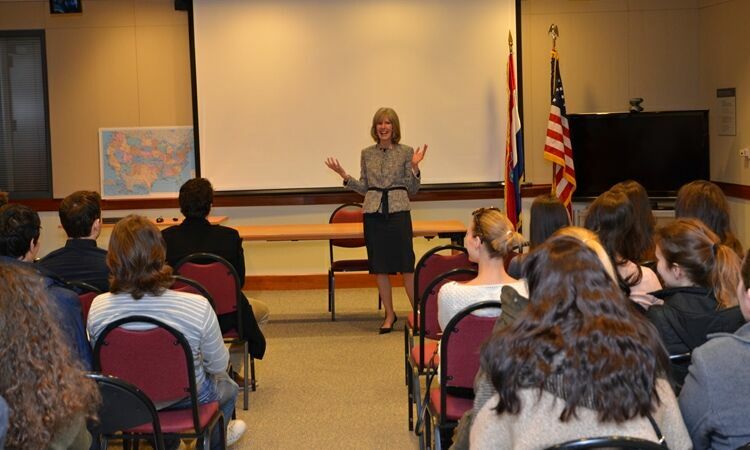 Chargé d’ Affaires Margaret Nardi welcomed a group of students from Ogulin to the Embassy. She encouraged them to consider studying in the United States, adding they can put their knowledge to good use afterwards here in Croatia.